The role of the 'project manager' isn't reserved only for those certified in Agile methodologies or even those who have chosen to become project managers. More and more, professional of all kinds are being asked to wear multiple hats and take on a variety of roles to get projects across the line. This can be stressful, especially if you have little experience or training. But fear not, there are several books out there that can help you increase your effectiveness and work satisfaction as you shoulder these new responsibilities. To save you from time-consuming searches, we put together a list of five top project management books that are praised for their practical value and good style by the project management community or have helped us in our own experience. *Please note this is a random list, not a ranking. Theory aside, let’s get straight to action. This book is a practical guide on developing your every idea into a successful project. In easy and informal language, Scott Berkun, popular author, blogger, and project management expert, offers tips for various stages of project execution, from project vision to measuring results. The book begins with the words “My favorite word in the English is how. How does this work? How was this made? How did they do this?” Find the answers to lots of project management “how”s under this cover. They say lazy men make progress. Curious to know how? In this book, Peter Taylor, a project management practitioner with 30 years of professional experience, answers this question using the 80/20 rule. To put it simply, this all is about a pleasant ratio of working less while getting more done. You can learn more about Peter’s methods in the interview he gave for the Project Management 2.0 blog by Wrike CEO Andrew Filev. 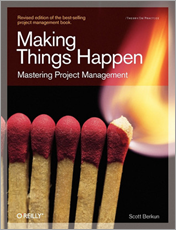 As many as 36 seasoned project managers, including popular authors Peter Taylor, Elizabeth Harrin, Cornelius Fichtner and Wrike CEO Andrew Filev, got together to share solutions for many common project management challenges. What's the best way to motivate your project team? Where should you start if every task is a "top priority?" 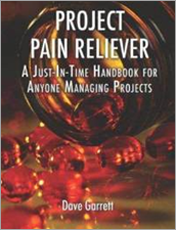 This handbook answers these and many other questions, and entertains you with funny project management stories. If you’re into theory, this book might be just what you’re looking for. This is the world's de facto standard guide in project management. In this book, the world’s leading professional association in project management (PMI) provides an essential guide to basic concepts and vocabulary. Most professionals in project management start their education with this process-based guide to get a complete overview of the sphere and to become better equipped for their project management careers. Finally, we would like to offer a little bonus recommendation: this book might not directly train for project management skills, but it’s the favorite of Wrike’s team for 2012. 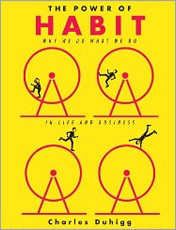 Duhigg’s book is based on the idea that understanding people’s habits isn’t just interesting, but extremely practical. And not just in your personal life, but in the business world, too. 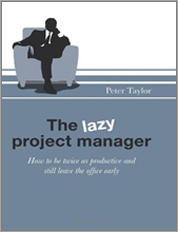 What other books would you recommend to new project managers? 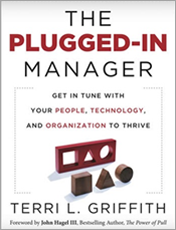 Let us know what you book you think every new project manager should read in the comments below!